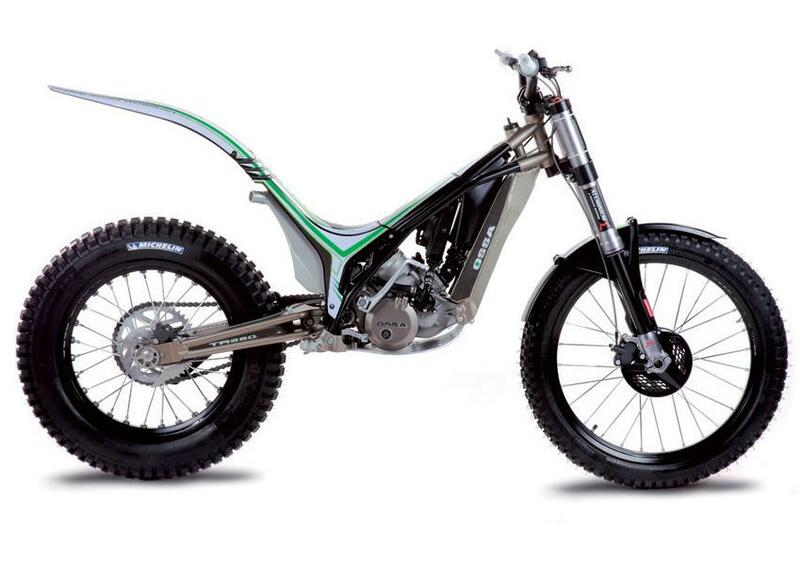 ﻿ Milan Show: Ossa returns with radical trials bike! Legendary Spanish marque Ossa has just revealed its first new bike for 25 years at the Milan Show. 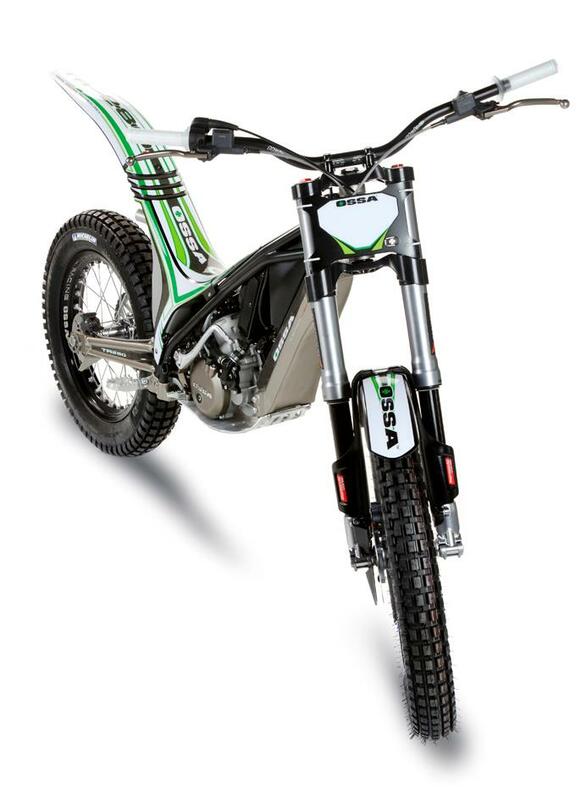 The trials and off-road specialist’s green and white bikes famously battled with the likes of Montesa and Bultaco in the 1970s. And in the hands of Brit trials star Mick Andrews won the Scottish Six Days Trial three times and the European trails championship twice in 1971 and 1972. The factory closed in 1985. But now the marque has been revived and its first bike is this radical TR280i. 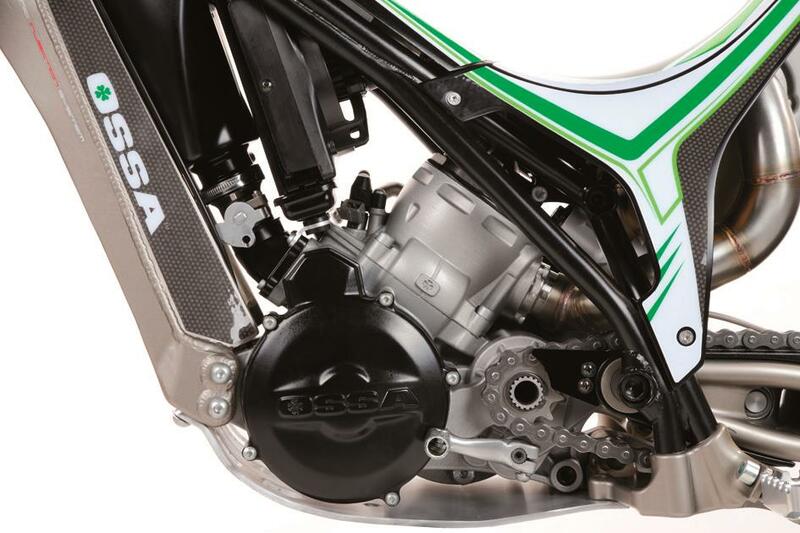 With a reversed and tilted-back cylinder, the engine is a liquid-cooled, fuel-injected two-stroke single. The stubby exhaust exits straight out the back, airbox, radiator and fuel tank are located in the space vacated by the cylinder and the chassis incorporates both cast aluminium and tubular steel sections. Cycle parts are top spec, too, with a combination of Marzocchi (specially-developed forks) and Ohlins (shock) suspension. Final testing of the new bike begins in January, in the hands of former world trials ace Marc Colomer with production scheduled to begin in July next year.